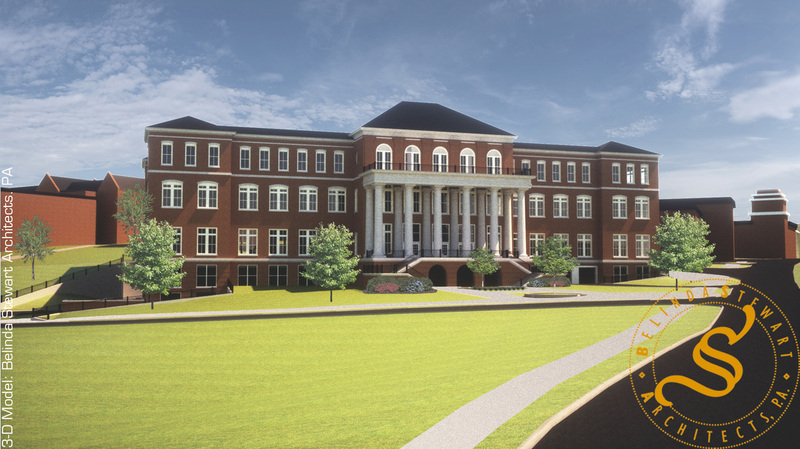 This building, a future piece of the Mississippi State University campus, will consist of three floors of classrooms, serving approximately 2,000 students, atop a two level parking garage. Currently in the design phase, the building has a a goal of meeting LEED Silver requirements. Our work includes acoustics and AV consulting for the classroom facilities, with particular attention to the isolation from the parking below, and full interactive IT for all rooms (including distance leaning features). Additionally, special design work includes a 400-seat main lecture hall which can be split into two halls with sound-isolating operable partitions. This room also doubles as a new recital hall for the music department.